Step into an underground wonder as you explore this limestone cave filled with amazing crystallized structures, crystal-clear pools, and flowing streams. The entire family will love the tram tour option, a 1-hour guided tour of the cave. For the young ones there is a special Junior Explorer’s tour available on request. And for really adventurous family members the Eco-Adventure tour (involving crawling & wading) is a welcome challenge! 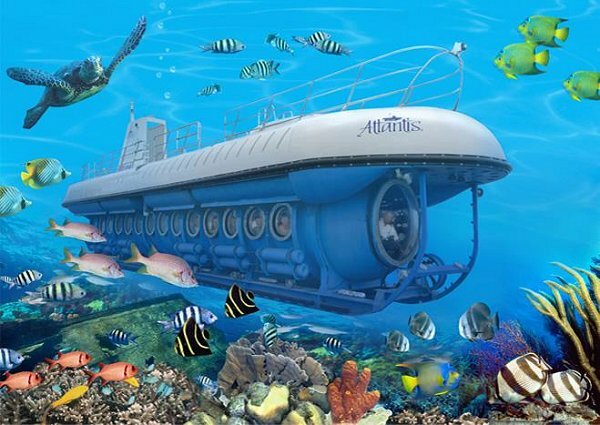 Watch your child’s face light up as you descend into the clear waters off Barbados in a real submarine! Gaze through large view ports to spot colourful tropical fish, sea fans, and maybe a turtle or stingray! This adventure is a wonderful learning opportunity for the kids and bonding experience for your family. Note: for safety reasons, children must be at least three feet in height. Meet mischievous monkeys and other intriguing animals at the Barbados Wildlife Reserve. Most of the animals here roam free, while birds and most reptiles are enclosed for their (and your!) safety. The self-guided tour gives families the opportunity to explore on their own, each going their separate way or exploring areas of shared interest together. Bonus tip: after exploring the reserve, be sure to tour the adjacent Grenada Hall Forest trails and the Signal Station. 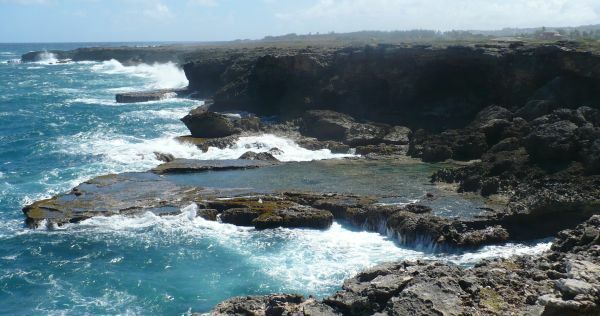 The Natural Wonders of Barbados Tour offers both Harrison’s Cave and Wildlife Reserve in one amazing trip. Pack up and head to the north of the island for fun & adventure! The cliff top views are spectacular, the perfect spot for the adults to relax and savor the refreshing ocean breezes while the young ones pet the resident Black Belly Sheep! From December to April there’s also the chance of spotting passing whales out to sea. Go into the underground cave to spot interesting formations and do some cave swimming in the natural rock pool! The restaurant offers a diverse menu with options for everyone. And there are lovely shops for those in the family who need some retail therapy. Here’s another opportunity to blend education and adventure. First tour the marine museum with its tanks of colourful tropical fish, preserved specimens, a huge whale skeleton, and lots of information about the sea life off Barbados. Then head into the water with your snorkel to enjoy the underwater wonders for yourself. The waters are very calm, so even small children can splash around safely. They’ll also love the swings and slides in the playpark. For the adults and teenagers there’s watersports on the nearby beach including kayaking, jetskiing, waterskiing, and tubing. We wish your family a safe, fun, and thoroughly enjoyable visit to Barbados.